A candle lighter's long nozzle gives you a safe way to ignite a candle flame, even when you have a short candle inside a tall jar or a glass candle holder. The basic operation is the same from one brand of candle lighter to the next, although some feature a safety switch to prevent young children from activating the device. A candle lighter keeps fingers a safe distance from the flame. Hold the lighter so the tip of the nozzle is approximately an inch away from the candle wick. Inspect the lighter, looking for a small slider, lever or switch along the lever handle. 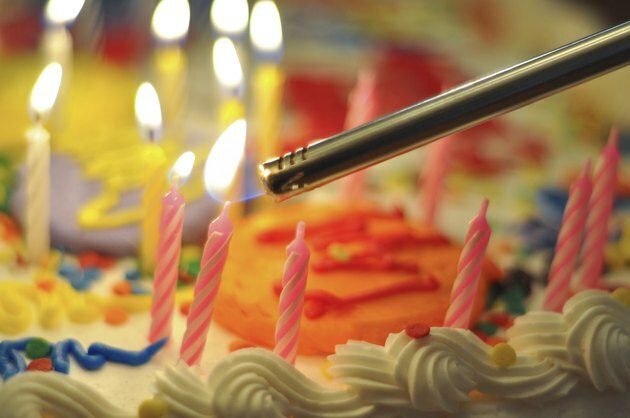 The candle may have two such devices, other than the trigger or button that ignites the flame -- one is a safety switch and the other adjusts the flame height. Adjust the flame height slider to the middle setting. This slider may feature a minus sign and plus sign at either end, or a small flame and a large flame. Press the safety switch or slide the safety lever to allow the flame to ignite, if your candle lighter model has one. It may look like an on/off rocker switch. Press the large trigger or button while holding the lighter tip near the candle wick. As the flame comes out of the lighter tip, ignite the candle wick. If no flame comes out, adjust the flame-height lever to a higher setting, and then press the trigger again. Flip an empty refillable candle lighter upside down to expose the refill valve on the bottom of the device. 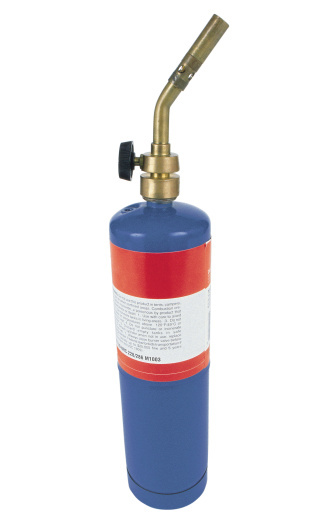 Remove the cap from the butane-refill container. Flip the butane container upside down, fitting its nozzle onto the valve on the lighter. Press the butane container down firmly. Remove the butane container from the lighter when the butane sprays out a little. Allow the lighter to rest for at least two minutes, to let the parts inside it readjust so the lighter functions properly once again.